Every school locker needs pencils and also some bling, so these magnetic pencil holders are just what the teacher ordered! 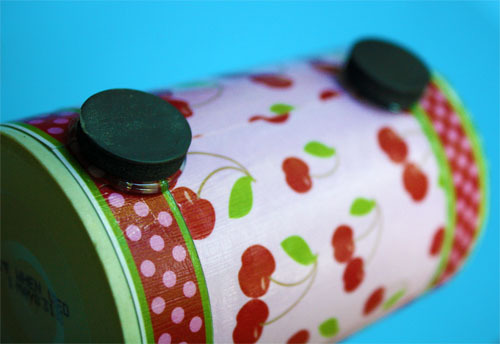 The best part is this magnetic pencil holder uses a recycled powdered drink mix container. You will also need some scrap book paper, magnets and mod podge. The short cans are the perfect size, but if you only have the tall ones no worries! The plastic containers are easily cut with a knife (by adults only of course). Paint a layer of mod podge on the container. 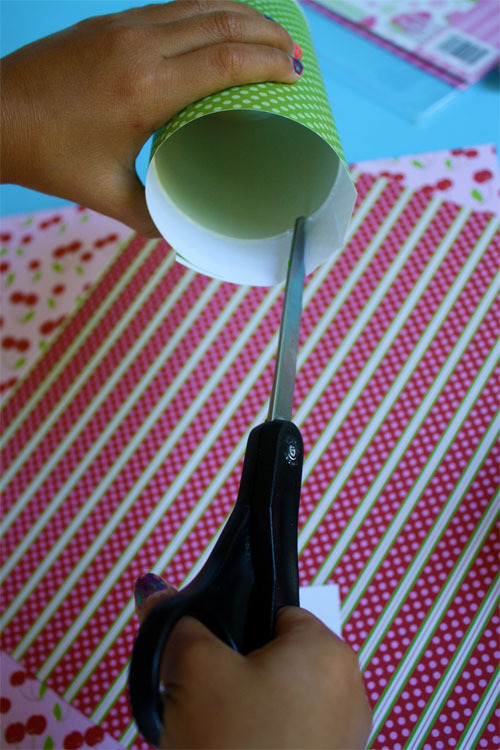 Cut a piece of paper to fit around the container, leaving it about 1 inch longer than the container at the top. Wrap paper around container. 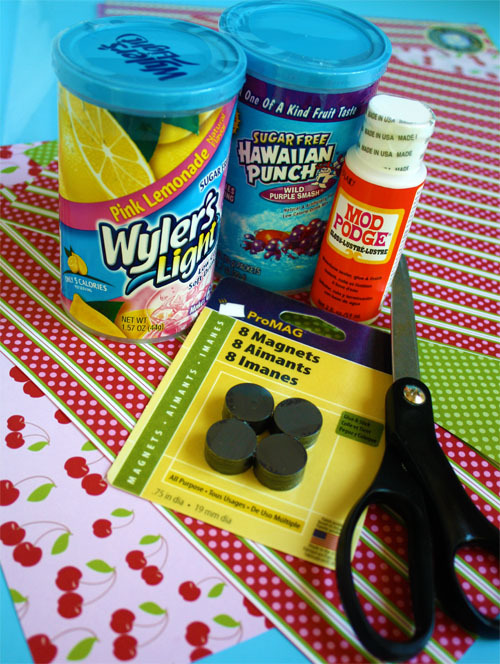 Paint the top inside edge of the can with mod podge. 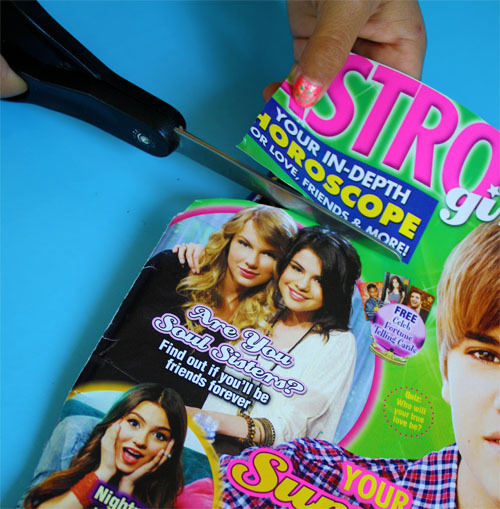 Cut slits around the top edge of the paper and then fold paper into the can. 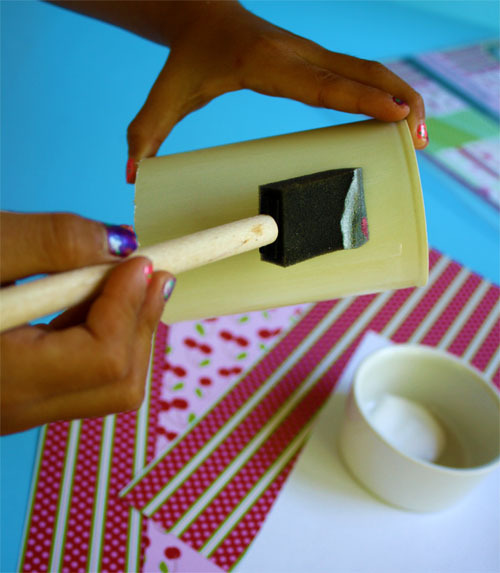 Allow mod podge to dry before giving the entire outside of the container a coat of mod podge. Add a few embellishments. Allow to dry and then add a top coat of mod podge. 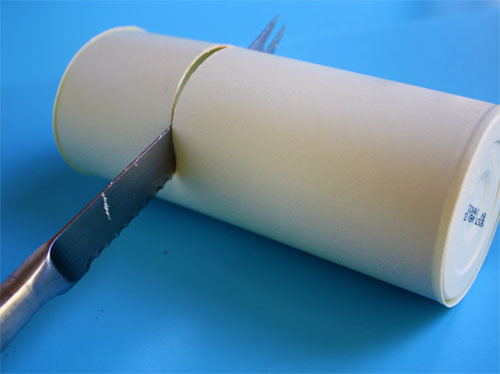 Allowing each coat to dry helps to keep the paper from bubbling. Hot glue two magnets to the back of the container. 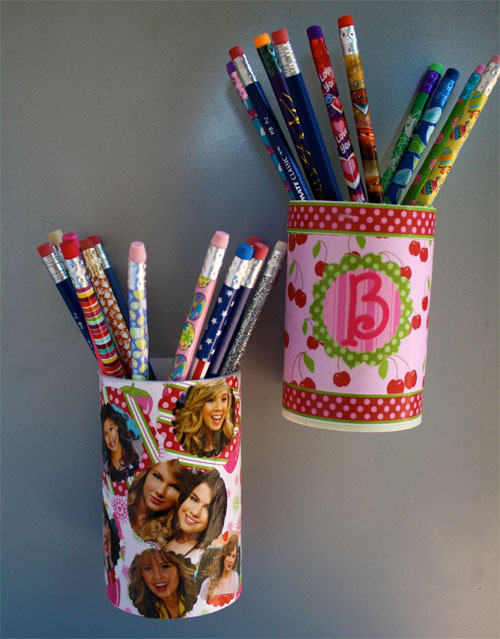 The containers can also be covered with a picture collage of a hobby, special interest or favorite star! Now the kids will have the best dressed locker! Great idea. Want to make it even cooler? I have a metal board I got from Ikea to put on the wall above my desk so the magnets can hold…. I have an metal dry eraser board and was looking for a way to put the markers on the board, this is a great idea. this is going on my fridge! This is an awesome project. 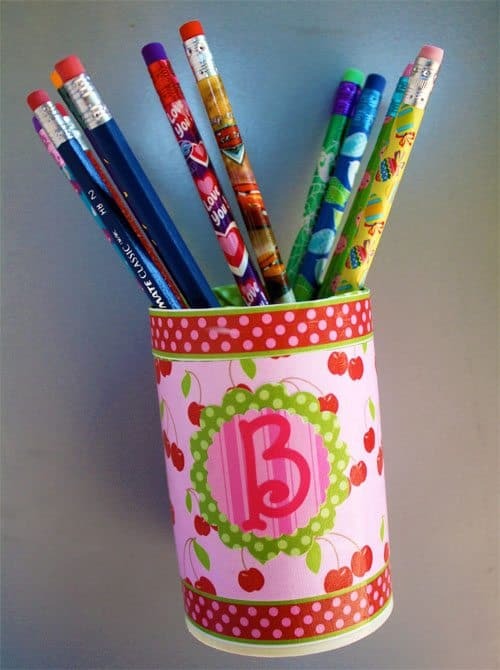 Have done pencil holders before….but the magnet idea is fabulous…this is next on my to-do-list! This is so cute – I have to share!